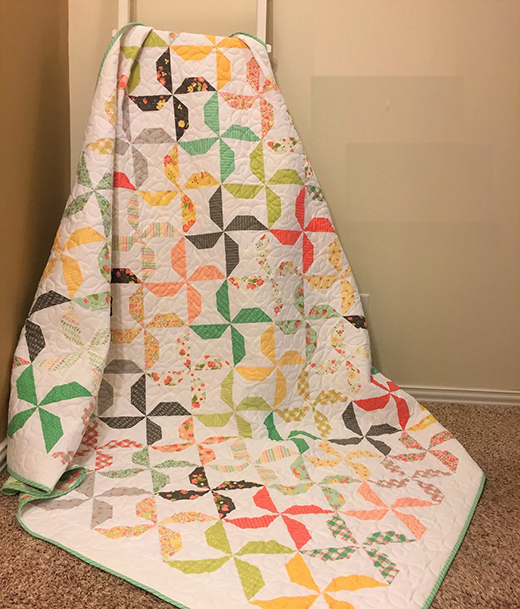 This Going Dutch Quilt designed by Amanda Wilbert of Pieced Just Sew for Modabakeshop, The Tutorial is available for free. "I am happy to be sharing a new quilt tutorial with you today! I love how a slight change to a traditional block can give you a whole new look. Here, one change to a traditional pinwheel block gives you a block that I think looks like a windmill."